Treat your sweetheart (or yourself!) to these adorably decorated cookies. They start with crispy chocolate cookies filled with a luscious cream, then dipped in white or dark chocolate. 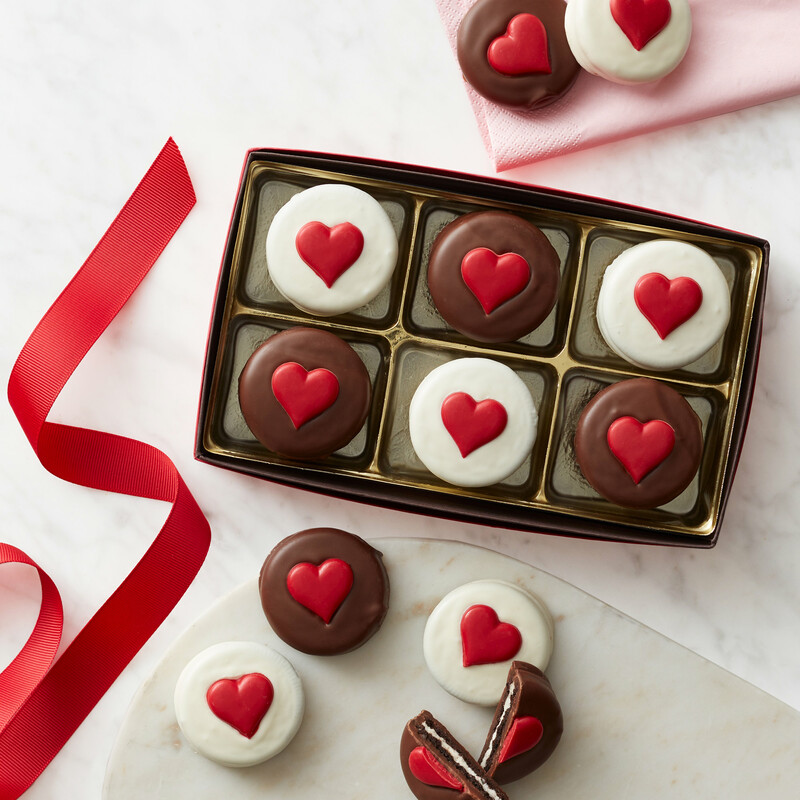 Then, they’re dressed up for Valentine’s Day with hearts and sprinkles.